Institute for Canadian Citizenship Fellowship 2018 is Out Online | Click Here to Apply. Institute for Canadian Citizenship Fellowship 2018… The ICC Fellowship provides a special opportunity for young leaders from around the world to make a change in their own community through the creation and implementation of projects on inclusion and citizenship. 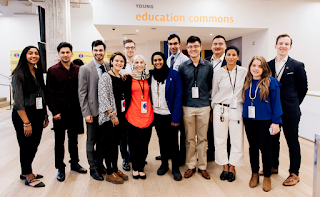 Launched in 2016 as the 6 Degrees Junior Fellowship, they have welcomed 22 fellows from 11 different countries into the program. These outstanding young people were chosen based on their dedication to fostering inclusion and building citizenship in their respective communities. The ICC Fellowship program is designed to support young leaders and is therefore open only to individuals under the age of 30 (born on or after September 24, 1988). As part of their commitment to inclusion, the ICC encourages applicants from all races, ethnicities, national origins, religions, sexes, sexual orientations, gender expressions, and marital statuses. If you have any questions, please contact Megan Dias, at mdias@icc-icc.ca.